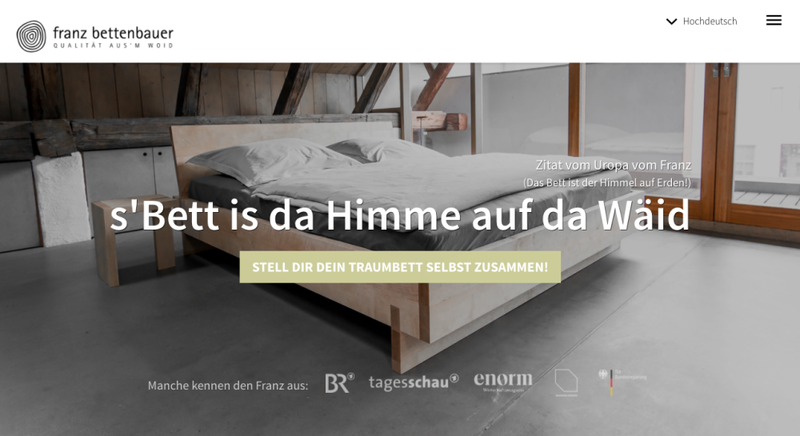 This young startup stands for high quality bavarian beds. Each bed is unqiue and can be configured to your liking. 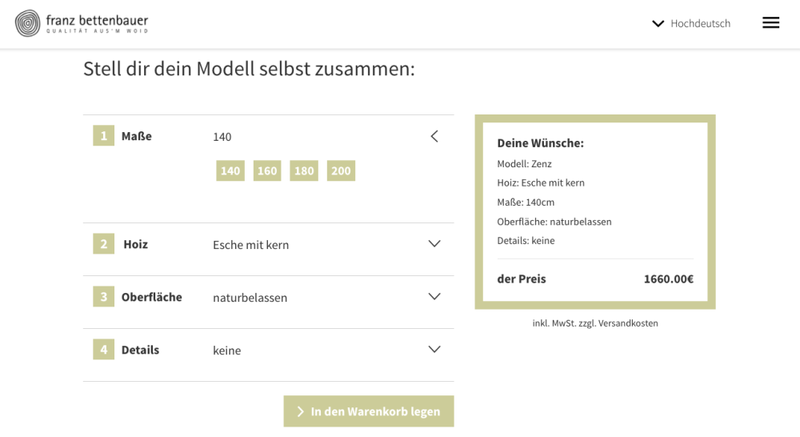 After launching a successfull customizable furniture shop, our clients wanted to take their unique configuration experience to the web. 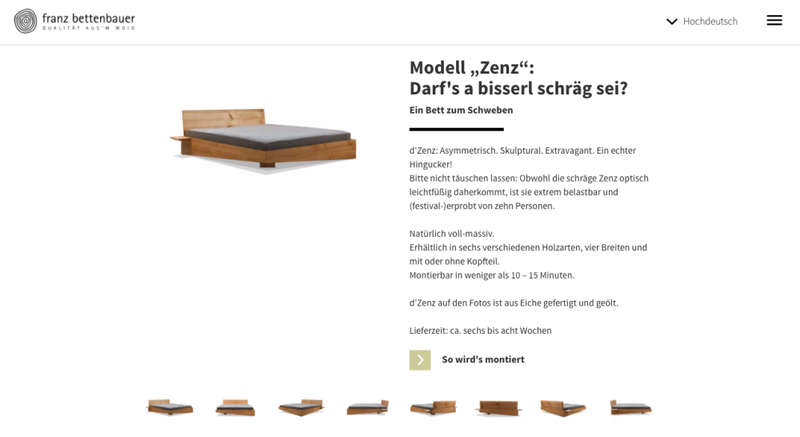 For this project we designed and built a complete web presence with a online shop section where customers can customize their furniture on the fly and order directly online. 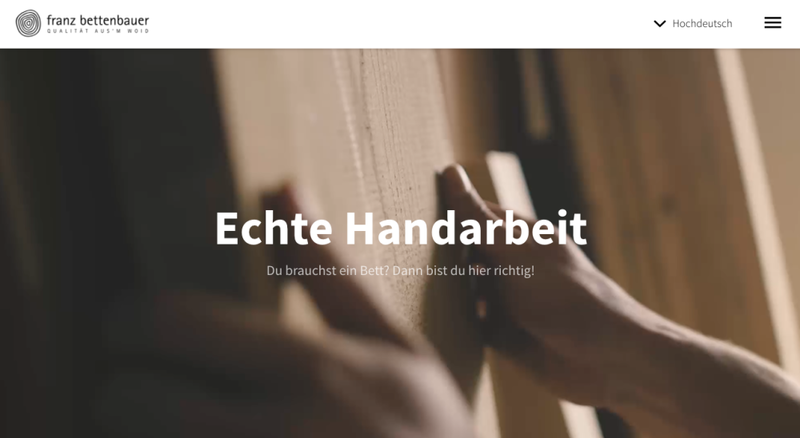 We focused on a clean visual esthethic and brought their authentic personal touch to the web.